As the world marches to the chant of “Girl Power!” and we bear witness to #MeToo, and as here in New Zealand we celebrate 125 years of Suffrage, we are observing a resurgence of feminism and watching as the waves of change filter across our perceptions, society and history. The world of art; ever the medium of visionaries, rebels, leaders and forward thinkers, has a hidden history that is fervently female. In this month’s recent picks, we invite you to open your minds and look at art through the eyes of feminism and equality. 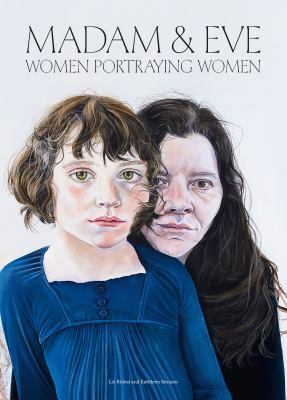 From fresh looks at art history, to records of important social movements, from local pioneers such as Elizabeth Lissaman, to looking at how women represent each other through art. Explore this special collection of new books that reflects these times and our changing perceptions. From the street to surrealism: an eclectic selection of amazing new art books for May 2013. New street art / Claude Crommelin (ClaudeLondon). Drawing Surrealism / Leslie Jones ; with contributions by Isabelle Dervaux, Susan Laxton. The books that shaped art history : from Gombrich and Greenberg to Alpers and Krauss / edited by Richard Shone and John-Paul Stonard. Chagall : modern master / Simonetta Fraquelli ; with contributions by Angela Lampe … [et al.]. Treasuring the gaze : intimate vision in late eighteenth-century eye miniatures / Hanneke Grootenboer. What was contemporary art? / Richard Meyer.